Like all cubical-bound underlings at Stranton Advertising, Lissy Swanson is desperate to become a Creative. Her impossibly chic superiors enjoy liquid lunches at hip restaurants where intricate bits of sushi are served on bare midsections of androgynous models while she buries herself in dreaded data entry. When her dreams of Creativedom are finally realized, Lissy is thrilled to work on her first real account - a new drug that scorches fat, bronzes skin and fires up dormant libidos: the Barbie Pill. She plans the perfect campaign, targeting new mothers dying to shed baby weight and rekindle their more adult desires. 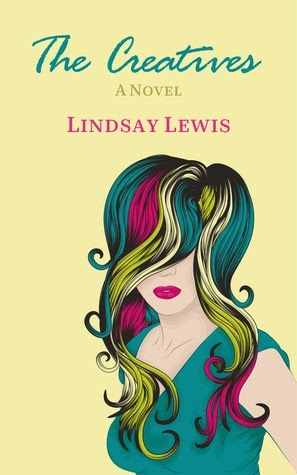 When Lissy discovers the beauty pill's ugly secret, she must choose between a promising new love interest and succeeding in the glossy world of Los Angeles advertising. There was something about Lissy that drew me in from the very first pages and I was interested in reading about her rise through the ad agency. Lissy’s personal characteristics were well thought out and supported by the relationships she had with her sister and her mother. They gave me the background needed to understand why she was the person she was today. I was disappointed though that her sister was so irresponsible and that Lissy seemed to bail her out repeatedly without any kind of repercussions. I know that Lissy felt like the “lesser” sister but there was no reason to allow herself to be completely walked all over. That she (twice) exchanged a first class flight into two coach tickets so her sister could go with her made me cringe. At some point there has to be a line drawn and Lissy should have been allowed to enjoy her success. I’ve read about such companies that take their staff on first class holidays to recharge. I’ve never worked for one myself but it sounds pretty fantastic. What a great way to have a holiday that doesn’t count as holiday! I was hoping we’d be given more of Lissy’s obvious skills in the advertising department. I could have used more action in that area before the very end of the novel. She went from administrative clerk to a top creative position with a tiny one-line ad. I would have liked to have some back-story of her abilities to add credibility to her rise in position. The pinnacle of the novel comes towards the end and I did read quickly to find out what happened with "the barbie pill". I’d be happy to read another novel by Lindsay Lewis because I liked aspects of The Creatives and would be interested to see what she writes next!